Reconyx Hyperfire HC500 Review: Good value for money? 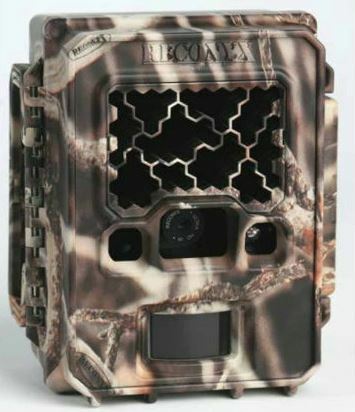 With the HC500 Hyperfire, Reconyx brings another top quality game camera to the world of trail cameras. The HC500 comes with a lot of excellent features that will enhance your scouting experience. 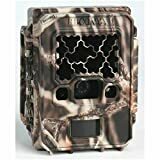 This trail camera has a lightning fast trigger speed and recovery time. It can take photos up to two per second. With this kind of speed, you can be assured that your camera will be able to capture every movement and track any action in the area. You will be sure that you will not miss any moment of the game.? What makes it a good trail camera? Any problems I should be aware of? Aside from the speed, this camera has an excellent photo quality as well as attention to detail. This is because of the Ultra HD IR camera lens coupled with a 1080p HD. Now, you get to enjoy ultra-clear photos that remain unsurpassed by other cameras, even those within its range. You get to identify the subject captured and you will also see even those little details within the subject. The Reconyx HC500 also boasts of its durability. It has a rugged waterproof case which adds more protection to the camera. With this, it is certain that this camera will last for a very long time. ?The downside of this camera is that it produces a dim red glow. It is not entirely unnoticeable, but it also does not majorly disturb the wildlife activity in the area. Another setback is the price. However, you are paying for quality on this one so you will surely get what you paid for. When comparing the Reconyx HC500 vs HC600, there isn't a whole lot to choose from. I would recommend the HC600 over the HC500, only for those that want a totally covert camera. The HC500 features semi-covert infrared transmitters, as it produces a slight red glow. Surprisingly, I have found that the flash range on the HC500 is superior to that on the HC600. The HC 500 can take either 6 or 12 AA batteries. According to Reconyx, this camera can run up to a year on 12 AA batteries. From my research, I have learned of many users that have taken 40 000 - 50 000 pictures on 12 AA batteries without any trouble. My first recommendation is to make sure you check out the manual. You do read the manual when you buy a product, right? My second recommendation for this camera is to get a good Class 10 memory card. And if you are going to be spending this much on a trail cam, I recommend you look at some of the great accessories available. One must have accessory is an a?djustable locking cable to keep your trusted game cam safe. If you are considering the HC500 for security, I would recommend you rather go for the Reconyx Hyperfire HC600 coupled with the Reconyx Hyperfire Security Enclosure. This camera can run for a year on one set of batteries (you can choose to use either 6 or 12 AA batteries), depending on the amount of pictures. Reconyx claims that it will last for 30 000 pictures before batteries run out. Reconyx is well known for producing devices that does exactly what it says on the box. The HC500 is the same. It works, it doesn't turn off for no reason, it just keeps on taking pics when needed. You won't miss any activity when you have this bad boy on the job. Lastly, this thing is built to last. The solid construction has been compared to a tank, and for good reason. Unless you drive over it with your truck, you won't experience any problems. Although the picture quality is good, it is not what you would describe as excellent. This is only a small trade-off really. The biggest thing I have against this unit, is that night pictures are quite poor. This is because the IR can only cover so much distance. After reading dozens of Reconyx HC500 reviews, there was a few things that stood out for me. A few users highlighted that the HC500 isn't as noticeable as other IR cameras, and is less likely to spook deer when hunting. While you should be able to pick these up at Cabelas, Bass Pro Shops or your local outdoors store, I recommend ordering through Amazon. These are regularly for sale, and I find they often offer the best price on the HC 500.? ?The Reconyx Hyperfire HC500 may cost more than other cameras, but you get good value for the price you pay. The HC500 stands out from other trail cameras in the same class. This is one time where you will not regret spending more for a high quality camera.